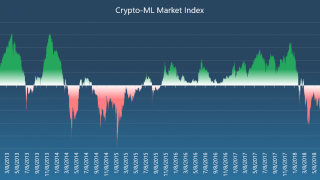 IMPORTANT video and post for Crypto-ML members: Crypto-ML provides signals for long and short trades, along with a Market Index. 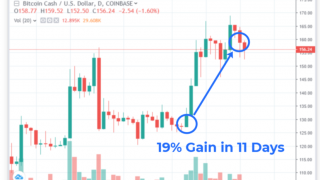 This post will provide guidance on putting these signals together, managing your risk, and best-utilizing machine learning to profit from Bitcoin trading. Before getting into the meat of this post, I want to highlight that even though cryptocurrency is dropping very fast, this is actually a fantastic situation for traders. Any time you are in a strong trend, it is easier for traders to make large, profitable trades. We actually want to be in a market like we currently are as opposed to a sideways, slow, consolidating market. You just need to know how to navigate the current market and how to use the tools Crypto-ML provides. The Market Index provides us an indicator to determine if we are in a bear or bull market. It also provides a value, that ranges from -100 to +100 (though extreme circumstances can cause it to exceed these thresholds). When the indicator is negative, we are in a bear market. When it is positive, we are in a bull market. This indicator provides you a general idea of which way you should trade. In general, it is best to trade with the market–swim with the current. To be specific, 2018 has been a bear market. In general, you’d be best taking short trades in 2018. In fact, that -88 reading is very extreme. Going back through historical data, this value would have only been reached one other time in Bitcoin’s history. To beat a dead horse, in these conditions, long trades have the odds stacked against them. To look at why, we do need to acknowledge that in any market, there are numerous ups and downs. There are buying and selling opportunities regardless of the overall market condition. Sharp sells can be followed with buying opportunities. But in a bear market, the math must favor short traders. You have a down market precisely because downtrends are bigger than uptrends. Said another way, the Market Index is a barometer for trade success. Signing up for the Crypto-ML Short Signals on the Notifications page. Determining how you will sell short when you receive a signal. Evaluating signals against the Market Index. 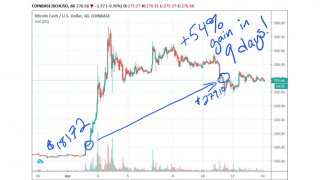 If you don’t yet have a strategy in place to short Bitcoin, this is a great time to learn how. It will allow you to be flexible as a trader. In general, trading futures is the easiest way for most people to trade Bitcoin (both long and short). Note that trading is different than investing and using. Once you’re signed up for the Crypto-ML Short Signals and have a method in place to short sell Bitcoin, you will be ready for the next trade opportunity. The Crypto-ML Short Signals are like Auto-ML in that the models are running constantly and may issue an alert at any time. 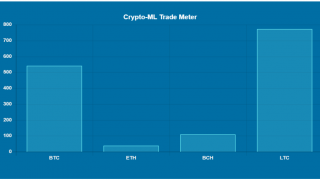 If you receive an Open Short signal, that means Crypto-ML has identified a short trade opportunity. If the Market Index is deep in the red, that adds strength to the recommendation. By opening a short trade, you will be swimming with the current. 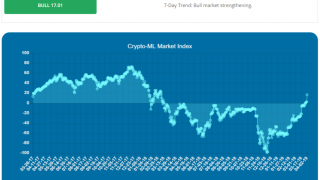 More on Crypto-ML Short Selling Indicators: Crypto-ML Short Selling Signals. Thus far, we have been discussing the market index from a trader’s perspective. But if you are considering accumulating cryptocurrency for long-term investment, you may have a very different take on the Market Index and prices. 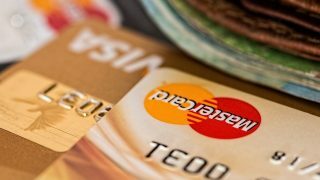 For long-term investors, you are interested in accumulating an asset during down times. Long-term investors would look to buy during panics and sell during mania. It’s important to understand that this strategy is very different than trading. If you are accumulating Bitcoin or other cryptocurrency with the expectation it will grow of 3, 5, or 10+ years, then you would typically take a counter-market approach. When the Market Index is deep red, long-term investors might see that as an opportunity to build your portfolio. Of course, the deep bear market could continue, so there is risk with either approach, but it’s important to understand how these two perspectives can contradict one another. Some individuals may have a mixed strategy. They may trade with the market for income and also invest against the market for long-term wealth. In this scenario, you’d typically keep separate accounts to properly manage them. Ultimately, you need to identify your own goals, develop your own approach, and understand the risks you’re exposing yourself to. Hopefully, this post gives you better insight into the Market Index and how it can be a useful tool as you navigate trades, strategies, and decisions.